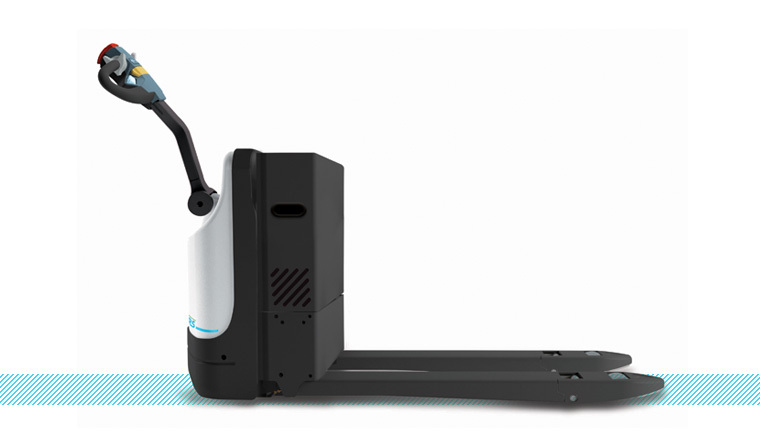 Loading and unloading trailers, in and out of coolers, up and down aisles — the WLX was designed from the ground up to provide industry-leading tight turning radius for faster, easier pinwheeling, more work cycles and better bottom-line productivity. 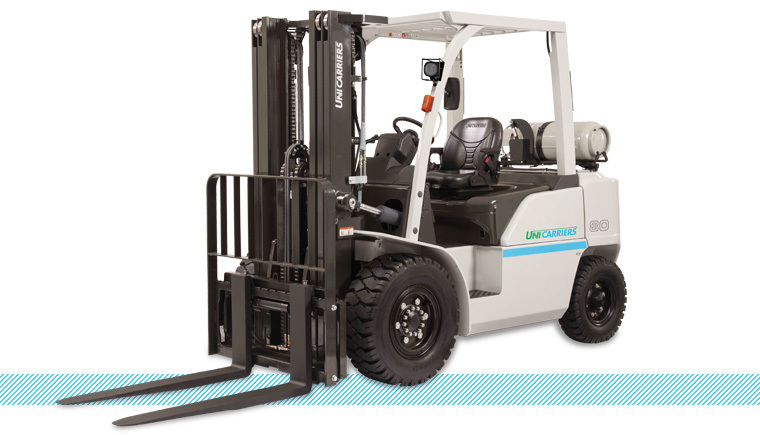 Beyond its superior maneuverability, the WLX offers advanced ergonomics to improve operator comfort…a robust iron cast frame for exceptional durability…extended service intervals and easily accessible components to minimize the time and cost of maintenance…and the reliability that has become the hallmark of every UniCarriers forklift. Rated at 3,000 – 5,000 lbs. 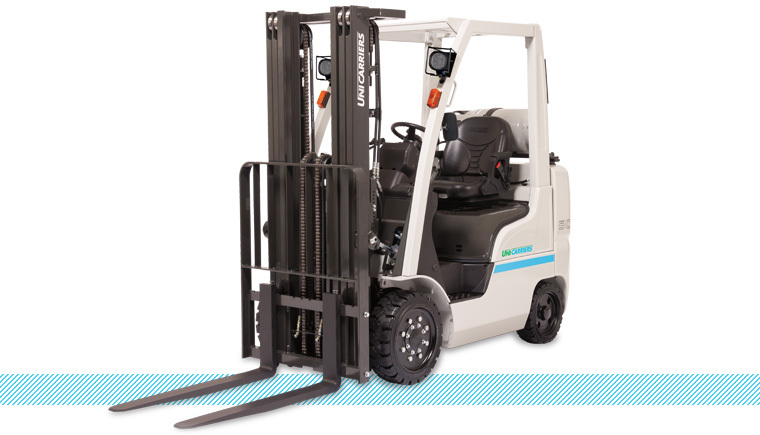 A UniCarriers exclusive, our Nomad ® Platinum II Compact is a uniquely versatile option, ideally suited where both indoor and outdoor lift trucks are needed. Its compact chassis provides tight handling and greater maneuverability for inside the warehouse, while solid pneumatic tires deliver reliable performance out in the yard across improved surfaces. Powered by our industrial engines, these rugged lift trucks deliver greater torque and horsepower to satisfy a variety of manufacturing, warehouse, recycling or other indoor/outdoor applications. Available in LP or Dual Fuel (Gas/LP), our fuel management system optimizes engine operation to provide excellent fuel efficiency and reduced CO, HC and NOx exhaust emissions. Each Nomad Compact comes standard with our comprehensive engine protection system to warn operators in case of excessive heat or a severe drop in oil pressure, providing extended engine and drive train life for your lift truck investment. Rated at 8,000 – 11,000 lbs. A heavy-duty pneumatic tire lift truck, the GO4 Series drives productivity higher while keeping operators comfortable and in control throughout a long shift. Powered by our engines (LP, dual fuel or diesel) to deliver greater torque and horsepower, the GO4 Series is built to tackle tough applications like lumberyards, construction, recycling or other heavy manufacturing operations that demand rugged, large capacity material handling equipment. 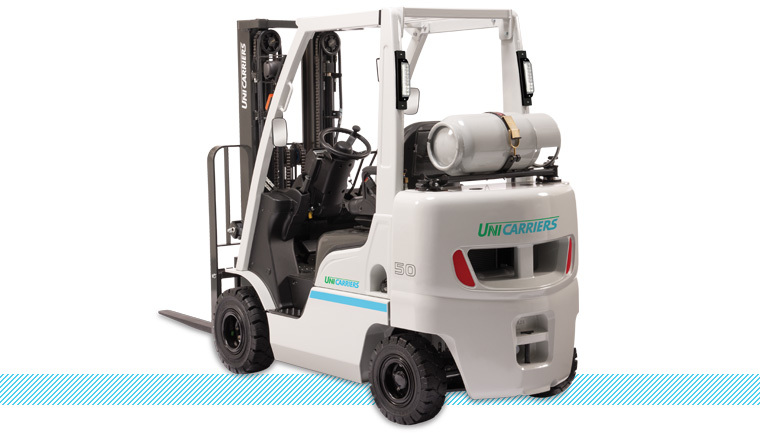 Find out more about our comprehensive engine protection system and fuel saving features by contacting your local UniCarriers Americas Forklift dealer.